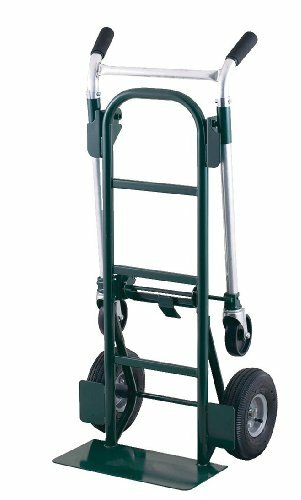 HARPER convertible hand trucks offer easy conversion from a two-wheeled hand truck to a four-wheeled platform truck with a one-step Auto-Lock latch release. 1-1/4" heavy-gauge steel tube frame. Channeled stair glide eases loads up or down stairs. All cross members are robotically welded, both front and back, to main frame for maximum strength. Fenders prevent load from rubbing against wheels. If you have any questions about this product by Harper Trucks, contact us by completing and submitting the form below. If you are looking for a specif part number, please include it with your message.